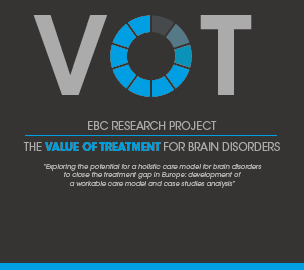 On the 27th of January 2016, the European Brain Council (EBC) held a kick-off meeting for its project on the « Value of Treatment for Brain Disorders » at the University Foundation in Brussels. As part of the meeting, EBC also presented the VoT Discussion Paper, which can be dowloanded here. 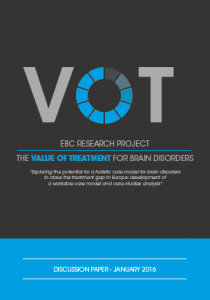 Find our more about the VoT project here.